WHAT IT IS: A soothing balm packed with Arnica Montana and Bromelain extracts that help your skin recover from trauma, cosmetic injections, and bruises. WHAT IT DOES: Our skin represents the body’s first natural defense against the environment. Needless to say, the skin can suffer injury as a result of trauma, surgery, or even cosmetic injections. 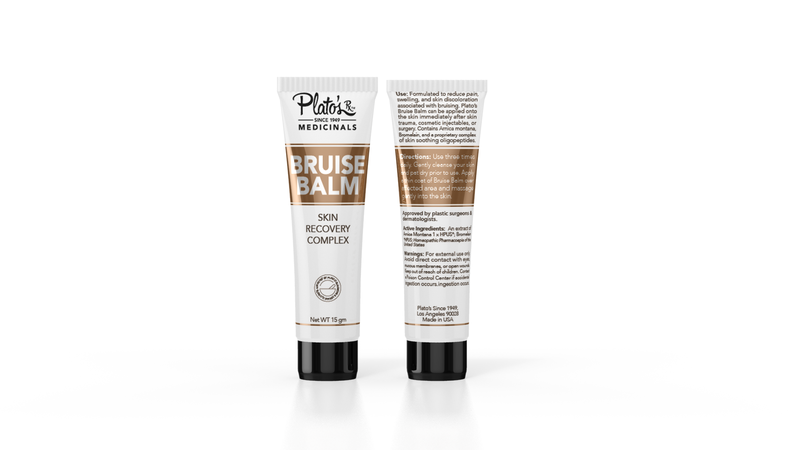 Plato’s Medicinals Bruise Balm contains two natural extracts (Arnica and Bromelain) that have been shown to support the skin and soft tissue when bruising occurs. The balm is applied after an injury; or in the case of surgery or cosmetic injections, before and after treatment. WHY WE LIKE IT: A well-stocked first-aid kit is a raging necessity when you’re active, have kids, or are just plain clumsy. Bandages and antibiotic ointment can do little when it comes to bruising. Plato’s Bruise Balm is a great and inexpensive item for your first-aid kit. Moreover, if you’re just as obsessed with cosmetic injections, facial fillers, and wrinkle-relaxers as we are; it’s worth having an extra boost to minimize the onset and duration of your bruise. A timely product for the organized individual who just doesn’t have the time or patience to deal with an unexpected bruise. https://kareskin.com/: Plato’s Medicinals Bruise Balm is an excellent product for a well-stocked first-aid kit or before a cosmetic treatment. You may not need it today; but be forewarned… you’ll definitely be looking for it if you get a bruise right before a big meeting or event. Plato’s Medicinals, Since 1949 built its roots as an old-world apothecary founded in the heart of Hollywood in the height of the post-war era. Today, Plato's Medicinals offers modern therapeutic solutions for many of the most common skin concerns.